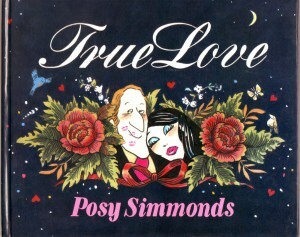 Pure Posy was the final selection of the weekly strips Posy Simmonds produced for the Guardian newspaper in the 1980s, covering her work from 1985 to 1987. Her broad cast of archetypes was developed, and they’re masterfully cast in mini-dramas, each with an emotional tug or a point to make. That very few are not still funny Simmonds herself would no doubt ascribe to a lack of progress in addressing the concerns raised all those years ago. Homelessness, lecherous men abusing power, the demonisation of anyone requiring social assistance, and the scourges included in ‘A Modern Alphabet’ are all still with us. Because it features generic characters it’s somewhat atypical, but an example would be a strip about intrusive TV reporters live at a tragic scene obsessed with asking those affected how they feel. How many people over the years since have wished they’d delivered the knee to the package that Simmonds’ victim does? Other aspects of the strip place them before the modern era. Computers only appear in their primitive green-screened models, with mobile phones and game consoles still in the future, and students still receive grants, yet the middle class affectations and hollow concerns are broadly similar today. 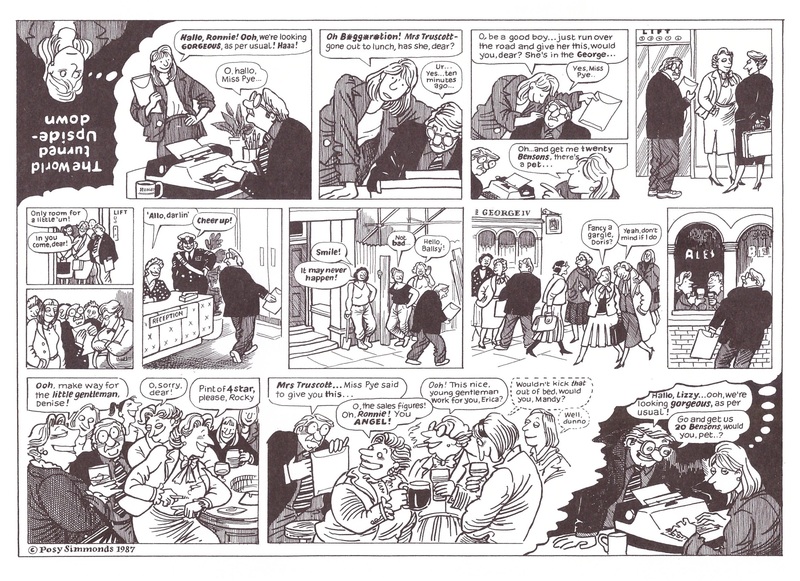 Actually, it seems as if in the mid-1980s Simmonds produced far fewer strips about middle classes twisting themselves in knots over ethical issues and spurious problems, and far more about social deficiencies. However, that’s not the results of six years of producing work for a liberal newspaper under a harsh conservative government, but of the non-chronological presentation, with much of the pomposity-pricking work thematically gathered at the end of the book. In either case Simmonds has a fantastic observational tone and a beautifully understated method that nonetheless makes the required point with clarity. 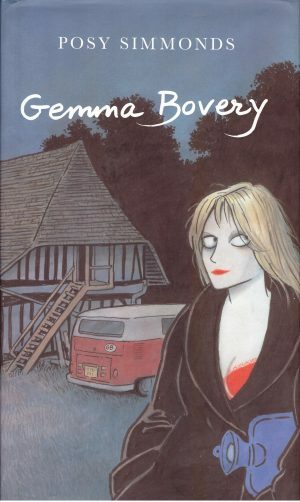 There’s a greater range of storytelling devices than in the earlier Posy collections, as Simmonds keeps herself (and us) entertained by incorporating faux classical etchings, or gothic typeface to indicate a modern pilgrimage. Otherwise it’s business as usual, with her illustrations oozing elegance and personality over a full emotional range with the appropriate light comedy touch. 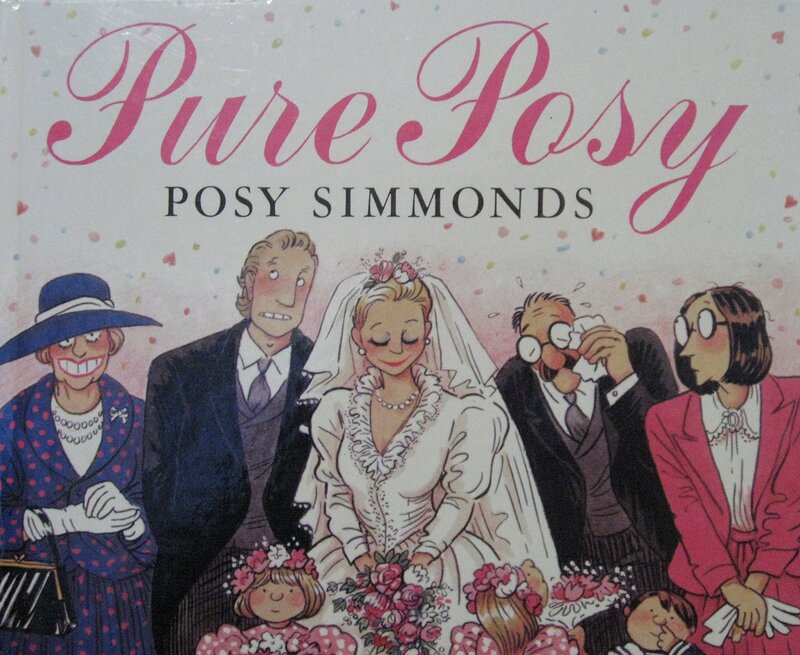 As with other Posy collections, this isn’t a complete reprinting, Simmonds herself ruthless in weeding out strips she felt didn’t meet her standards. Used copies of Pure Posy are easily found online, both in the first Jonathan Cape hardcover edition and the subsequent Methuen paperback, but it’s better purchased as part of Mrs Weber’s Omnibus, also gathering Mrs Weber’s Diary, True Love, Pick of Posy, Very Posy and Musn’t Grumble.